An 8 nth century temple dedicated to Goddess Ambika- a form of Goddess Durga. Temple is known as Khajuraho of Rajasthan because of its beautiful carvings and sculptures on the wall. These usually depict scenes from Hindu mythology. 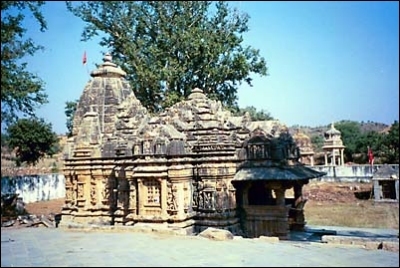 The temple is about 50 kilometers from Udaipur in a village called Jagat. Easily accessible from Udaipur by road.